I’m always on the hunt for creative ways to save money in our household budget each month. 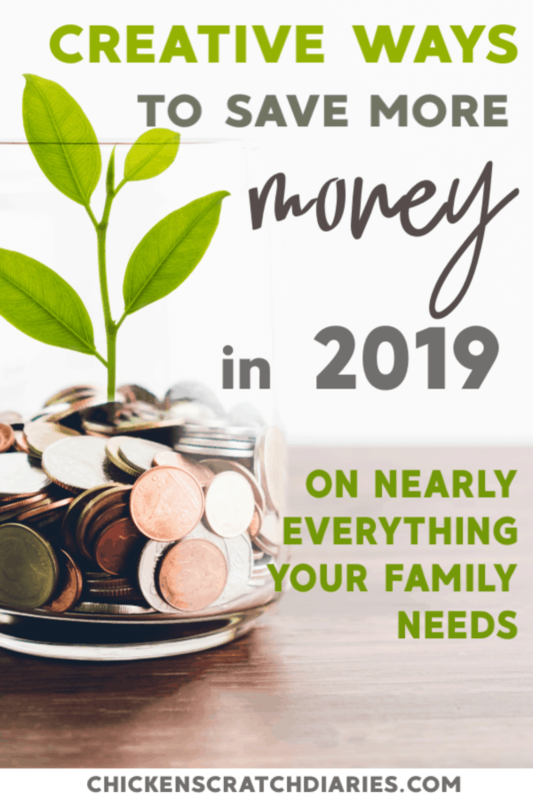 I should first say that I’m not sure what qualifies as a “big” family, but with six people under our roof, our monthly budget gets stretched to the max. Simply put, the bigger your family, the more expenses you will have. While in some cases it’s also necessary to increase your income even while raising kids, it’s always a good idea to see where you can reduce your expenses. Admittedly, I’m kind of a budgeting/ expense-tracking nerd. My grandma is the ultimate fruganista in my life and for whatever reason I inherited that nifty gene from her. It’s both a blessing and a curse (just ask my husband). For me, being frugal doesn’t mean you eat beans and rice every day, become a coupon fanatic and make absolutely everything from scratch. I do a little of each of those, but I’m more about balance and simplicity these days. What being frugal means to me is this: You recognize needs versus wants; prioritize the needs and choose wisely how you’ll meet them so that you can save for the wants. Learning how to cut spending also reduces stress – so that you can enjoy your big crazy family that much more! 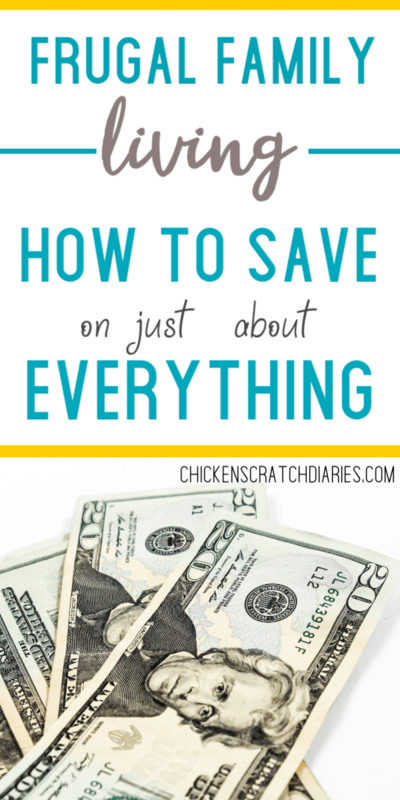 Below are some of the easiest ways I’ve found to save money in our household. These frugal tips for big families, of course, will work for families of any size! They revolve around 3 key areas that I’ve found make the biggest impact on my budget: Substitutions, habits, and timing. ○ Hand Soap: We go through a ton of hand soap! You can make your own foaming hand soap for around $.60/bottle using liquid castile soap (also non-toxic; better for your health). ○ Face Wash: I am loving this face wash recipe I recently found. It’s great for sensitive skin since it also uses pure castile soap. One batch costs me less than $5 to make and it lasts me almost four months! ○ Hand lotion: Coconut oil works GREAT as an alternative to hand lotion and unrefined coconut oil is so much better for your skin. It also has a really long shelf life (around 18 months) and because it has endless uses, I buy the large container to save even more. ○ Facial Moisturizer: Almond oil is an inexpensive all-natural oil that can be used as a moisturizer under makeup. Apply with a cotton ball. I prefer this to coconut oil on my face. (It can be a little heavy if you’re acne-prone). ○ Shaving Cream: I haven’t bought actual shaving cream in years. Cheap hair conditioner will last forever, work just as well and, bonus – makes your legs soft and smooth! If you have a high quality razor, you may even be able to shave comfortably with just water. ○ Dryer Sheets: Purchase a set of wool dryer balls instead. These will last for over 1,000 loads of laundry or 2-5 years, depending on how much laundry you do! ○ Paper towels: While I haven’t ditched paper towels completely in our house, we limit our use of them to things like bacon grease and toilets (the nasty stuff). I have a pretty good supply of kitchen towels and cheap microfiber cloths that I use for cleaning just about everything else. You can also cut up old sweatshirts or t-shirts to use as cleaning cloths. ○ Portion control: Don’t let the kids have free range of the snack foods! Buy some 1-cup plastic containers (I also have these glass containers which I love) and when your child wants some Pringles, for instance, let them only take what will fit in the container. My kids are used to this drill, which prevents them from binge-snacking & wiping out the pantry in one sitting — especially easy to do while in front of the TV! ○ Eat at home. Although I wrote this post in jest, it’s a fact that we rarely eat out with our big family! When we do, it’s for a special occasion. Even though I’m tempted to just load up the van and let someone else do the cooking (like every weekend in fact), knowing that a homemade meal costs a fraction of a restaurant meal is enough motivation for my frugal wallet. ○ Choose extracurricular activities carefully. For us, this means that we don’t automatically sign our kids up for every sport and hobby they show interest in. Not only are there fees, uniforms, shoes, instruments to purchase – there are the hidden costs of juggling our schedules and being able to eat at home rather than living on fast food. There’s a lot to consider here – but really the bottom line is living within your means. ○ Check prices online for EVERYTHING. I often buy non-perishable groceries online at Amazon or Target. 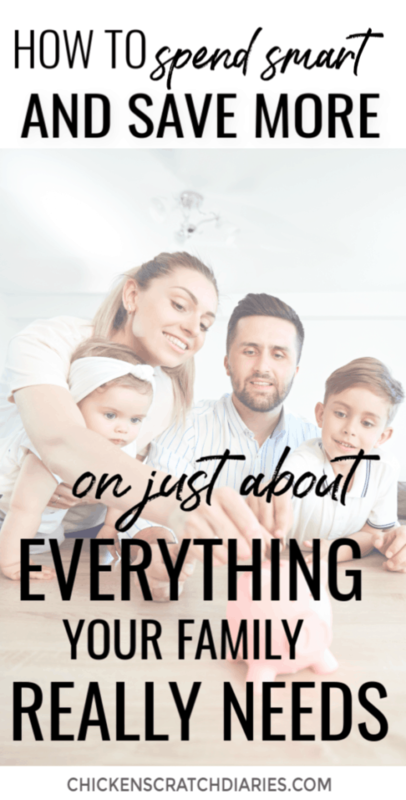 I find that I buy less and can track my budget much closer when everything is pre-calculated in a virtual cart – rather than in a real cart where my real kids will distract me and make me spend more! ○ Use sites like BeFrugal for all online purchases. Before I make a purchase, I’ll start at BeFrugal to see if there’s a cash-back offer for the retailer I’m planning to shop from. In addition, they have coupon codes you can search for. Click through this site to the store you’re shopping from; apply the coupon code at checkout and receive a discount PLUS cashback from BeFrugal. RetailMeNot is another huge, continually updated database for online coupon codes that sometimes lists high-value cashback offers as well. For instance, last month I received $10 off an $80 purchase at a big-box retailer. I have $20 cash headed to my Paypal account this month just from routine purchases I made (groceries, toilet paper) with cashback deals from RetailMeNot. ○ Have a no-spend week. You’ll need to have a meal plan in place for every meal: decide what everyone in your family will have to breakfast, lunch and dinner each day; eat out of the pantry/freezer/leftovers and only buy minimal groceries at the beginning of the week. Eating out during a no-spend week is off-limits – and that includes those stops for a $1 soda. No online shopping either! For instance, frozen chicken tenders go on sale nearly 1/2 price about every 6-8 weeks at our local grocery store and when they do, I make sure to buy the limit so that I never pay full price. Other items to watch in circulars for steep discounts: Butter, cheese, ice cream, produce and meat (all kinds), lunchmeat, frozen pizza, pasta sauce, canned veggies, breakfast cereal. The week before Thanksgiving, Christmas and Easter is the best time to stock up on baking staples, in general. ○ For new clothing: mark in your calendar the middle of January to purchase winter clothing for the next year, when it will be around 70% off at many stores such as Kohls and Old Navy. This is how I buy almost all of our kids’ clothing new – at better prices than most yard sales. Same thing for the middle of July- make a note to stock up for the following summer. If you’re short on space for stocking up on clothing,try these type of vacuum bags and stack in a closet or under the kids’ beds. And again- check out BeFrugal before shopping! Target, Kohls, Macy’s, Amazon, JcPenney, Target are just a few of the 5,000+ participating retailers at BeFrugal. They list current coupon codes PLUS you’ll get cash back on your purchases. If you you’ve got your heart set on “boutique” style clothing, be sure to browse Amazon first. I’ve bought a few women’s clothing items in the last year for less than half of boutique prices – and I honestly can’t tell a difference in the quality. Consumer Reports also has an awesome month-by-month guide that tells you the best time of year to buy just about everything. ○ Have a swap party with your closest friends where you exchange unwanted clothes and other items for free! You could swap your clothing, kids’ clothing, toys, sports gear, books, movies, and even freezer meals. A friend of mine hosts a Halloween costume swap every year. I’m planning a clothing swap party this spring because I don’t have time or patience for yard sales (plus we’re very rural). ○ Borrow items you’ll (likely) only use once. Does your child need a specific clothing item for the school play? See if a friend/cousin/neighbor has one you can borrow. Books and movies are no-brainers for borrowing from your local library for free. If you’re like me and forget to return those library books, take a look at the Amazon Free Time program for kids. For just a few dollars a month (for Prime members) you can have access to more than 16,000 kid’s books, videos and apps, with parental controls included. Read more or start a free trial here. ○ Buy used & DIY when it makes sense: Wood furniture is a great example – expensive to buy new, but easy to repurpose a used piece and will last a long time. If I need a dresser or end table, I always check local Facebook yard sale sites and thrift stores first. SPRAY PAINT is my best DIY friend. Other items I look for at thrift stores: books (especially classics that I know we’ll re-read); bicycles and scooters; flower pots; home decor; storage items – baskets, quality food canisters; serving platters and seasonal items such as snow gear (coveralls, snow boots), tablecloths and holiday decor. I less frequently buy everyday clothing at thrift stores unless it has tags and is steeply discounted – because I can usually find new clothing on clearance for similar prices and have the ability to return them if needed. I’ve definitely wasted money at thrift stores over the years on clothes that don’t fit or had stains/holes when I got home. ○ Delay Spending. Write down the items you’re thinking about buying for the week – use the weekly notes section in your planner. For non-essential items such as That Sweater you’ve been eyeing in the Old Navy email ad, make a note to re-visit that thought at the end of the week. 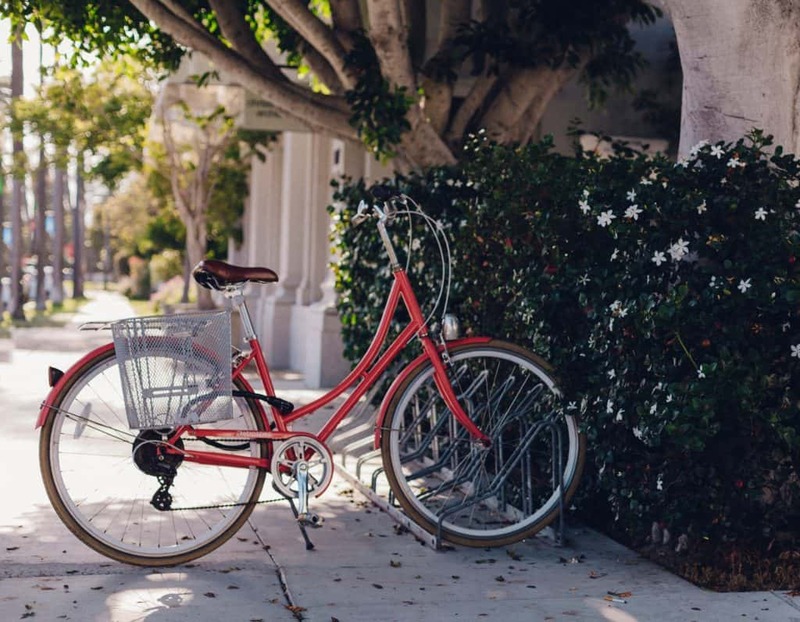 By then, you might find that (a) Other expenses have crept up –and you’ll be glad you delayed purchasing or (b) You didn’t really need or want that item anymore. See how long you can delay the purchase. I try to remind myself of the adage, “It’s only a good deal if you can afford it”. Best of all, you’ll be proud of yourself for not caving to instant gratification! What are some creative ways to save money that you rely on? Let us know in the comments below! « Give Experiences, Not Gifts? Here’s one Exception. Very helpful personal finance ideas to families. Keeping them for future reference. Thanks. This is a great list! The biggest way I save money with a big family is by putting all our expenses on a GAP card and using the rewards to get clothes for free. I stack the rewards with coupons and sales to maximize it. It also helps having three boys in a row for hand me downs! I just checked your site and read the post about your free clothes from the GAP- that’s amazing. I’m saving that one for reference! We have hand-me-downs between our two older girls (9 and 12 now) so I’ve had to buy very little for our 2nd daughter. Then we had a boy (now 4) so we started over..then a (surprise!) girl (now 1.5)…started over again! I am fortunate that I have a few friends that gift me their gently used clothing for our oldest so I can keep new purchases to a minimum. I also really like Children’s Place and Crazy 8 for the younger kids’ clothes (free shipping and often $3 deals & under for t-shirts). I am going to try out your hand soap recipe. I love that idea. You will love it! I sometimes add a little almond oil or Vitamin E oil in the winter (maybe a teaspoon? A little goes a long way).